Before you board your dogs, I'm sure you will need some background info about who is taking care of your dogs while you are away. That's what i was worried about whenever i have to board my dog "Rusty" whom i adopted when he was 9. Be rest assured that whenever a dog step into my home, it is part of my pack and i will make sure it gets an equal amount of love, care and concern no matter the breed or size! So here's some basic info about me. I have own a dog since 2009 , worked at a dog rescue organisation as a caretaker where i have to take care of all the needs of the hundred of dogs everyday for 3 years, 2 years as a zoo keeper and have been a vet nurse for 3 years. 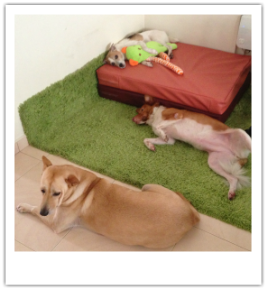 What propel me to start a home boarding is that i found out that what i like best is mingling with dogs. Walking and taking care of them is what i do best and love! If you have any doubts, feel free to email or Facebook msg me and i will clear any of your doubt. Cheers! 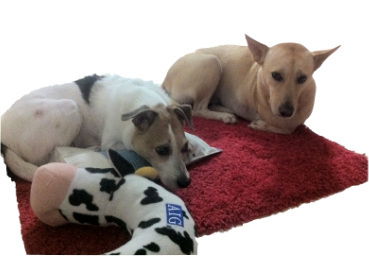 At Cozipawz, we offer three different dog boarding services to suit your needs. As we understand that there are times where situations doesn't allow you to bring your dogs with you 24/7 but you don't feel good leaving your dogs home alone. For owners who will be away on business trips or holidays away from the country. 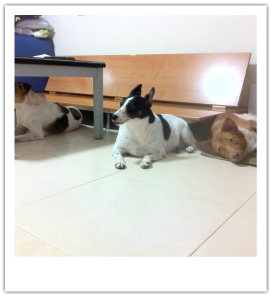 Your dogs will be allowed free roam of the house if he/she is dog friendly. *Food not provided. Please provide dry/can, raw or home cooked. For owners who need to be away in the day but feel bad leaving your dogs at home. For owners who needs to attend function/dinner/party at night. *Check out time later than 10pm will be charged at $30 regardless of check in time. Full payment(cash) before checking in. Dogs found with fleas/ticks when checking in will be rejected. Food not provided. Please provide dry/can, raw or home cooked.